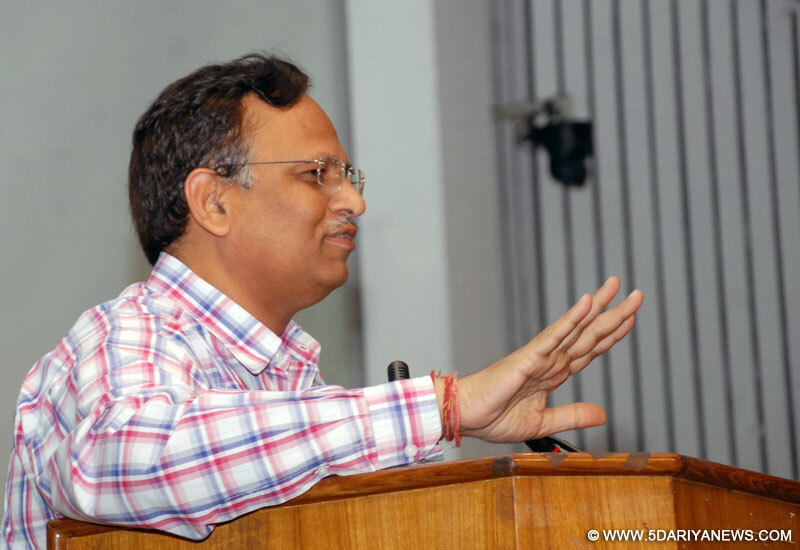 Delhi government will began resurfacing 17 "important" roads in the national capital on Tuesday, Public Works Department (PWD) Minister Satyendar Jain said. "Work to start in 17 PWD roads from tomorrow (Tuesday) at a cost of Rs 24 crore," Jain tweeted on Monday.Deputy Chief Minister Manish Sisodia will be the chief guest at the inauguration function that will kick off the project.The project is divided into two parts.At a cost of Rs 14 crore, the roads to be relaid in the first part include Ulan Bator Marg, Baba Gang Nath Marg, Nelson Mandela Marg, Vidya Marg, Link Road (NH8 to Samalkha Chowk), Girdhari Lal Goswami Marg and Mahavir Enclave Part III, Bindapur.The second part, which is estimated to cost Rs 10 crore, includes Kaifi Azmi Marg, Church Road R.K. Puram, Vivekanand Marg, Ganga Ram Hospital Road, Pusa Road, Shankar Road, Ram Nath Vij Marg, Venkateshwar Marg, B.J. Marg and Baba Balak Nath Marg.